In some European towns, also in Japan, a sizable portion of the funding comes from the buildings around major stations that are build and owned by the transit company. these buildings are hotels, office buildings, condos, shopping malls.. I love trams have used them in many towns on 3 continents. The problem with them is that they take 2 lanes. In Europe etc. it is not a problem, as parking is not necessary in the streets where the trams run.. But we are in Vancouver, where merchants MUST have parking on each side of a street..
That is why on most roads in Vancouver we could expand electric trolley buses that move in and out of traffic easily that works better for businesses generally without disrupting parking. Electric Bus Rapid transit could be implemented with peak hour dedicated lanes in some areas. What an outstanding solution to the problem of people-moving and traffic congestion! I grew up as a kid riding the #7 streetcar down 41st to my stop at Blenheim, and watching the interurban cross 41st in Kerrisdale. Reopening all those routes would seem to be such a sensible solution and I hope the supporters of it can stand up to the corporate interests and win! I agree with your statement that a Broadway subway isn’t needed, my only difference with your plan is that instead of implementing LRTs we should be implementing true Bus Rapid Transit(BRT). We could do this for a lower price than LRT by simply setting up bus only lanes and enforcing them with camera and by giving the express buses signal priority at intersections. The first route that should get converted to BRT is obviously the 99B-Line but we should also convert the other express bus routes in Vancouver to BRT routes as soon as possible. 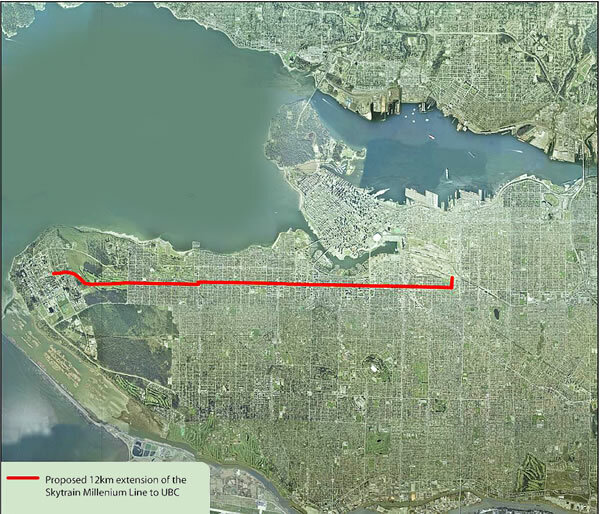 I would also look at implementing alternate express routes out UBC so that we can reduce over crowding on the 99B-Line. As for phase 2 of transit spending, we should be focusing on replacing the Pattullo bridge and converting as many bus routes as possible to trolley bus routes. I believe that these things are affordable and we should have enough money left over that can be used to make the upgrades to skytrain that are so desperately needed and also put more buses on the most undeserved bus routes. Operating costs for trams are about one half of buses because 1 modern tram (1 tram driver) is as efficient as 4 to 6 buses (4 to 6 bus drivers) and for every bus or tram operated, one needs to hire a minimum of 4 people to drive, manage and maintain them. This explains why tram systems have survived the 1940’s and 50’s automania and flourish today. 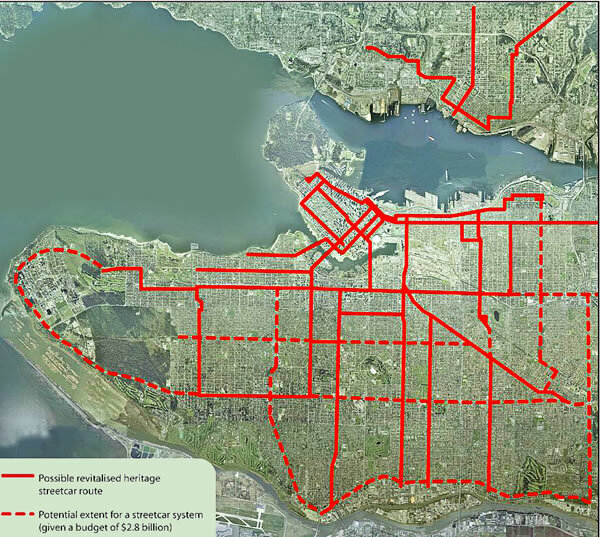 I am looking at the map, and you need to realize that the Broadway subway and at Arbutus Street. It does not go all the way to UBC. The subway ending at Arbutus Street was the sweetner for then GVRD Chair George Puil to sigh on to the Millennium Line/TransLink deal so he could also be chair of TransLink. The NDP inspired deal would pay two thirds the cost of SkyTrain only construction West of Commercial Drive.